Our Fair Trade Beauty collection beckons the congenial wisdom of other lands, while engaging in trade that brings just wages to farmers and workers in disadvantaged nations. In equal measure, these fair trade body products bear witness to Nature’s unyielding glory. Whether it’s sacred skin fare from the wise women of ancient African tribes or the erudite offerings of the Moroccan Argan Tree and Turkish Hamam, these earthen luxuries draw upon Mother Earth’s sage wisdom. Thus stated, if you have never tried eco beauty from other lands, we invite you to do yourself a favor and give these posh imported gems a try. Not only are they each superb in their own right, but they do a world of good! Imported from Aleppo, Syria our authentic Aleppo Soap contains 20% Laurel Oil (Bay Leaf Oil) and pure Olive Oil. This 5 oz. Soap is 100% natural and generously cares for all skin types, equally. A gratis 5 oz. natural soap bar is included. Differing slightly from regular Black Soap, our Shea Black Soap pulls double-duty as it combines authentic African Black Soap with African Shea Butter. 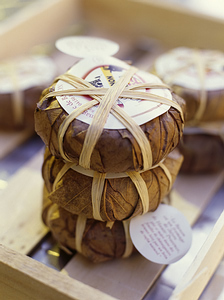 It too is imported from Ghana, West Africa and arrives in patty form – wrapped in brown paper. 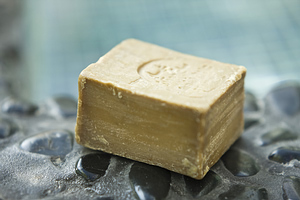 This is a crumbly soap – owing to the high Shea Butter content – but lathers richly and cleans beautifully. Each Shea Black Soap patty is 5 oz. A gratis 5 oz. natural soap bar is included. Made in Ghana, West Africa, this is authentic Shea Black Soap in liquid form and is ideal as a natural Shower Wash, Hand Soap or Shampoo. This 9 oz. 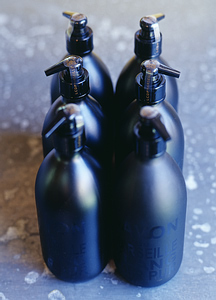 liquid Shea Black Soap is served in a recyclable bottle. A gratis 9 oz. bottle of regular liquid African Black Soapis included. 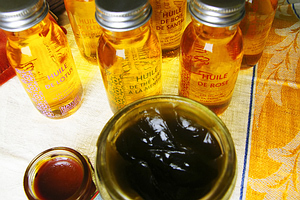 Imported from Morocco, and differing from Ghanaian African Black Soap, this Moroccan Black Soap is the authentic Black Soap that is used in the local Hammam’s. Moroccan Black Soap (also known as Beldi) is made from Olive Oil and is superb for decongesting and deeply cleansing the skin. 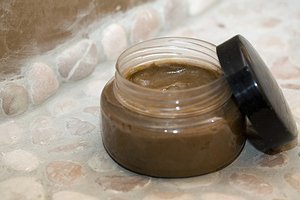 What is more, the addition of Sea Salt and Rhassoul Clay helps to exfoliate withered skin to usher in new cell turnover. Our Moroccan Black Soap is presented in a 18 oz. recyclable jar. A gratis 8 oz. Spa Oil is included. Imported from Morocco, this authentic Argan Oil is served in a recyclable bottle. Argan Oil is highly nutritive and excellent for all skin-types. Argan Oil boasts a higher content of Vitamin E than other tree oils and is replete with natural antioxidants, as well as fatty oils that make it soothing to skin in need of deep healing. It is also an excellent anti-inflammatory agent that helps reinforce the skin’s natural immune system. A gratis 5 oz. natural soap bar is included.